IT IS “WRESTLEMANIA Week” for Radulich in Broadcasting and kicking off the week is Source Material bringing to you their coverage of Image’s “Ringside” Issues 1-5! 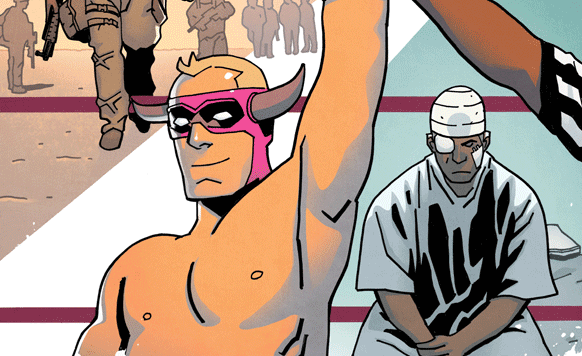 Join retired professional wrestler Danny “The Minotaur” Knossos in his journey back to the states as he pieces together the whereabouts of an old friend and lover, Teddy. Set amidst the behind the scene’s backdrop of the wrestling industry, Danny’s story weaves in noir elements of crime and drugs culminating in a showdown with a seedy crime boss. Mark, Jesse, and Ronnie also bring to you their earliest wrestling memories as well.